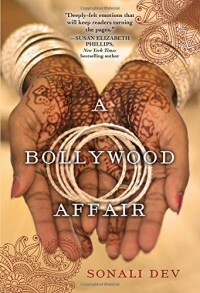 A Bollywood Affair - Sonali Dev - review - Books! This story is a romance that is set partially in India, and also in the U.S. There are elements of deceit and mistaken identity. There are a lot of elements of Indian culture included throughout the story. I enjoyed listening to this audio book. The narrator used accents for different characters, and this really made the story come alive for me. I found the story easy to follow, and it flowed smoothly. The sound quality was excellent. Everything was clear and there were no background noises. My enjoyment of this story was certainly improved by listening to it instead of reading it. The narration just added so much authenticity to the story. The story itself sometimes felt a little improbable and melodramatic, but it was still a sweet (and hot) romance. I just needed to sit back and enjoy the story for what it was and not over analyze the little things that didn't jive with reality. At the end of the story, I was still left with a few questions and uncertainties, which is why I gave this story three stars. If my rating could be based on the listening experience alone, it would be 4 stars. The unabridged audio of A Bollywood Affair by Sonali Dev is narrated by Priya Ayyar and is 10 hours and 23 minutes. It was released in 2014 by Blackstone Audio, Inc. 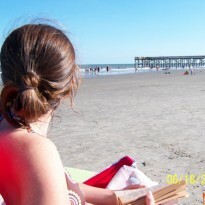 The audiobook was provided to me for review by the Solid Gold Reviewer program at Audiobook Jukebox.